The queens have arrived! Get ready, St. Albans, you're about to get a whole lotta fabulous up in you. 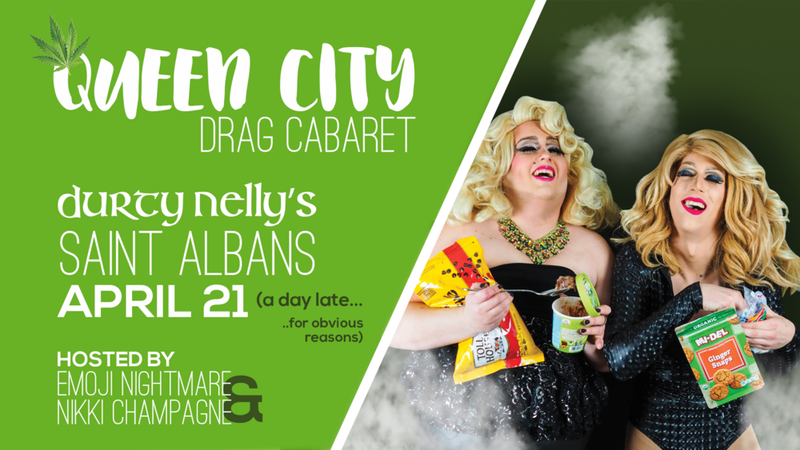 The girls of Queen City Drag Cabaret finally ascend upon Nelly's, April 21st for a 420-themed show. Get your tickets now (their last show sold out!) so you won't be "green" with envy. $10 in advance / $13 at the door.